You would like to extract your cannabis to produce a liquid with as high THC content as possible? Then safety should be a big factor. We will explain how to eliminate the potential explosion hazard in the extraction process and how to comply with FDA (Food & Drug Administration) mandatory standards. Everything to ultimately sell your customers a high-quality and, above all, safe product. Vape pens are all the rage and the number of marijuana dispensaries in the USA is constantly on the rise. And now Canada has legalized cannabis. In short, consumption of liquid THC is gaining in popularity all the time. As well as boosting the cannabis industry, this trend is also generating a rise in demand for safe cannabis extraction. Common methods of cannabis extraction involve the use of highly explosive and highly toxic petroleum gases (LPGs) – mainly butane. Cannabis extraction is not exactly without its risks. 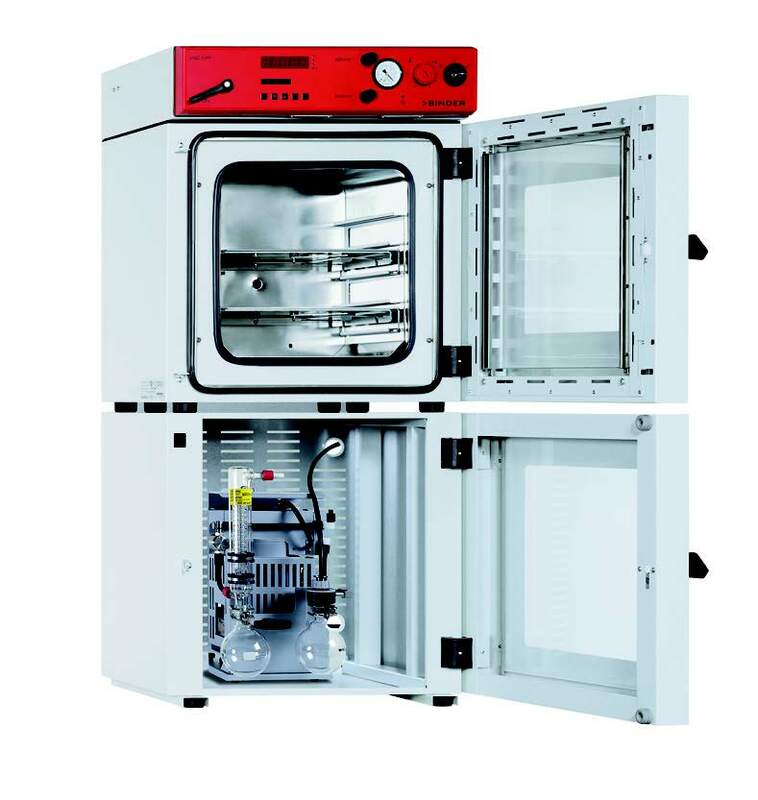 With its VDL series, BINDER has introduced vacuum drying chambers to the market which can be relied upon for maximum safety while also complying with all international standards, rules, and regulations. Butane hash oil is the generic term used to refer to cannabis products whose manufacture involves the use of butane gas as an extraction solvent. At the start of the extraction process, cannabis and liquid butane are heated inside a system and pressurized. The vacuum allows the liquid butane to condense. The process produces an end product called marijuana shatter: a clear and flavorful extract with an above-average THC content. A constant temperature and permanent temperature monitoring are vital to avoid explosions. Butane is extremely toxic when consumed. For this reason, at the end of the extraction process, it is very important to dry out any butane residue in a suitable vacuum drying chamber and to test the end product for LPG. The FDA in the USA is yet to define binding standards and checks for butane extraction. However, local, regional, national, and international safety guidelines (e.g., governing fire safety) do apply. Pay attention to an approval for the drying of flammable solvents! As referenced above, vacuum drying ovens are used in the final stage of the extraction process to dry out any butane residue left behind. Since butane is highly explosive, only a vacuum drying chamber that has been approved exclusively for drying flammable solvents can truly be considered to be safe. At the current time, there is only one vacuum drying chamber in the world that meets this requirement: the VDL vacuum drying chamber from BINDER. Only VDL vacuum drying chambers from BINDER offer explosion protection! For your VDL vacuum drying chamber to function reliably during the extraction process, all mechanical, electrical, and other systems (including safety checks and safety protocols) must have been set up correctly. Support from BINDER experts is just a click away. Do you need to extract high-quality cannabis under safe production conditions?